There are so many options for buying Disney World tickets that it can be really confusing at times: How many days should I choose? Park Hopper option? Water Parks add-on? A Platinum Pass? (Annual Pass), etc… So I’m going to break it all down for you: What kind of ticket to buy, where to buy them, and why you need to buy them ahead of time! Let’s face it, Disney World park tickets are not cheap, in fact it will probably be the second most expensive thing you pay for on your trip outside your resort. But that does not mean that you can’t find ways to save money when buying your tickets. So I’m going to explain to you how you can save the most money possible when buying your tickets. It’s important to understand all the options available so you don’t waste money. That’s the number one mistake I see people doing, buying tickets with too many options or too many days and they end up throwing their money down the drain. I’m going to break down all your options and tell you my recommendations according to your family’s circumstances so that you don’t make the same mistakes that most people do! Ready to get started? I’m going to to make it easy for you and show you all the Tips you need to for buying Disney World Tickets. You might be thinking: “Why do I have to buy them ahead of time? Why can’t I just buy them when I get there? The answer is simple: You should definitely buy your park tickets ahead of time because it will save you Time and Money. It will save you time because if you wait till you get there to buy your tickets you will have to waste precious minutes or even hours of your trip waiting at the ticket window at the parks or at the concierge of your resort if your staying at a Disney owned property. Also it’s absolutely essential to buy them ahead of time if you want to make your FastPass+ reservations for all the attractions in the parks. 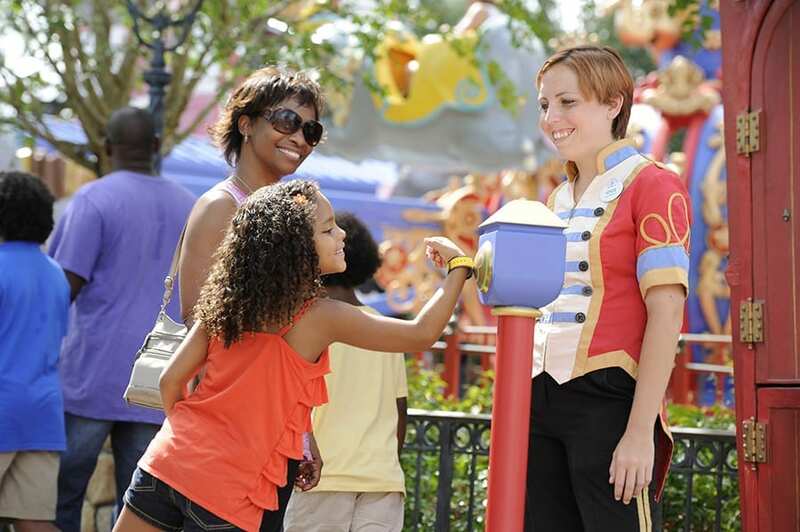 Basically FastPass+ is a ride reservation system that allows you to book in advance which rides you want to go on from the internet, using the My Disney Experience App or the Disney World Website. So you can make a reservation ahead of time for all the most popular rides up to 60 days in advance of your arrival, and not waste your time standing in line. I can’t emphasize how critical this is for your Disney World vacation. Some of the most popular attractions like Soarin’ or Toy Story Mania can have lines of 2 hours or more in the busy seasons. So if you want to have a pleasant trip to the parks and save hours of your time you need to use FastPass+. The problem is if you wait to buy your tickets till when you arrive in Disney, then all the best times will be taken by the time you try to make reservations. So buy your tickets at least 60 days before your arrival and make your FastPass+ reservations right away!! Stay tuned for my guide on using the FastPass+system. It will save you money because Disney raises the price of their tickets 1-2 times per year, so the longer you wait, the more chances they will have gone up by the time you get around to buying them. Also, unless you are just buying a 1 or 2 day ticket, you will always get a better price from a 3rd party ticket dealer. The trick is knowing where to buy from…..
Where should you buy your tickets? It depends on what type of ticket you want, You can always buy them directly from Disney, but 90% of the time you will save a significant amount of money, even hundreds of dollars (if you have children) buying them from a third party seller. The trick is you need to know where and who you can trust. I highly recommend these sellers: Park Savers, Getaway Tickets, Undercover Tourist, Official Ticket Center and Maple Leaf Tickets. From my experience these sellers always have the best prices and they are all reliable, trustworthy and I’ve had nothing but positive experiences with them. You can buy from them without worrying about anything. Also they have the FastPass+ option enabled so you can make your FastPass+ reservations ahead of time. Additional Affiliate Discounts: If you don’t buy from the above 3rd-party sellers there is a chance you might be eligible for some other discounts such as AAA, Military, Corporate, Disney Vacation Club and being a Florida resident. Even with these affiliate discounts though, most of the time you will get the best price using one of the other 3rd party sellers that I mentioned earlier. Never buy used park tickets!!! The Disney Park Ticket system works on fingerprint recognition. So if someone buys a ticket their finger print gets scanned and associated in the computer system to that person’s ticket. So if you buy a park pass that is partially used with a few days left on it, when you get to the gate to use the ticket you won’t be allowed access to the park and you will be left outside. Disney is very strict on this and you will be throwing money down the drain. If you buy them from some 3rd Party sellers this option isn’t available to you when you try to make your reservations you realize it doesn’t work. You don’t want that for sure! Never buy park tickets from Ebay or Craigslist. There are many scammers out there that pretend to have new tickets, but sell you used tickets or even fake tickets. You should really need to be sure of who you are buying from. 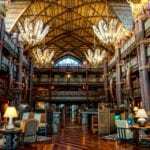 Buying Disney World tickets from these places is like getting off the Kilimanjaro Safari where the lions are, with a big T-Bone steak in your hands….It’s not going to end well! If you see an unbelievably low price on some website you’ve never heard of then most likely it’s a scam and you will regret your decision later. If you have an amazing package deal with your resort and tickets and meal plan all included sometimes it can benefit you to buy your park tickets through Disney, but most of the time buying Disney World tickets through one of the 3rd party vendors I mentioned will save you the most money. Basically Walt Disney World has a bunch of different theme park options all under the name: Magic Your Way. They offer tickets from 1 day up to 10 days. So depending on how many days your family is staying, you can choose the appropriate ticket. When you buy this base Magic Your Way ticket it allows you access to the 4 Main Disney theme parks: Magic Kingdom, Epcot, Hollywood Studios and Animal Kingdom. You are allowed one entrance per day to whichever park you choose. Also the tickets expire after 14 days from when you use the first day. In other words if you have a 5 day pass and your first day is October 1st, you have from October 2nd – 14th to use the remaining 4 days. The more days you choose on your tickets, the less money you pay per day. 1-2 Day tickets are a terrible value and I don’t recommend getting them unless you really are just going to be in the area for 1 or two days and need to satisfy your Disney fix. A 1 Day Magic Your Way Base Ticket to the Magic Kingdom will cost you: $111.83 (price from Disney) and a 2 Day Magic Your Way Base Ticket will cost you $215.13. So even for the 2 Day you’re paying $107 per day. Not a good deal. Pricing is also based on season. The levels are: Peak season, Regular and Value. So obviously if you go in the Peak season you will be paying the highest price there is and if you go in the Value time you will get the best bargain. Be sure to read my post about when the Best Time to Visit Walt Disney World is, that way you will save even more money going at the right time. But basically if you want to save money, avoid holidays and during summer vacation. The Park Hopper add-on allows you to go multiple parks in one day (even everyday if you want, you aren’t limited). So if you want to go to the Magic Kingdom in the morning, Hollywood Studios in the afternoon and Epcot for dinner…it’s possible. (You will be super tired though! :). This is usually a $50-70 flat fee added to each ticket depending on the season and amount of days. Is it worth it? It depends on what kind of traveler you are and how long you will be in Disney World for. Usually I would say no. If you’re trip is 5 days or longer then to me it’s really unnecessary to add the Park Hopper option. With the Magic Your Way Base Ticket, you can do all 4 major parks, choosing one per day and still have an extra day to relax by the pool or go shopping. Also it might sound great to go from park to park everyday, all day long, but the fact is: you will get tired…trust me! Especially if you have kids! They (or you) just might not be able to handle morning, afternoon and night in the parks for days in a row. So it’s better to pick a park each day and go there. Now if you only have 2-3 days, then getting the park hopper might make sense if you really want to hit the highlights of each park and you don’t have a whole week to do it. If so, by all means! 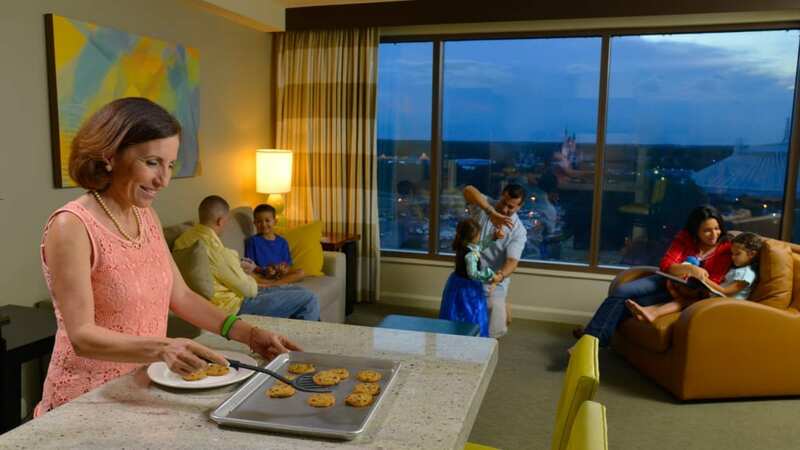 If you read my post about Why You NEED to Stay in a Disney Resort then you would know that one of the great things reasons to get the Park Hopper option would be if you are staying in one of the Epcot resorts. In that case, one of the things I love to do is walk over to Epcot in the evening, eat in one of the restaurants there and then just stroll around. If you are staying in an Epcot resort then it might be worth it to you to get the Park Hopper option. Water Parks Fun and More Option? This add-on gives you the 2 Water Parks (Typhoon Lagoon and Blizzard Beach), Oak Trail Golf Course, Fantasia Gardens or Winter Summerland mini-golf (only before 4:00 pm), or the ESPN Wide World of Sports Complex. It costs an extra $68-78 per ticket again depending on days and season. Should you do it? Again it depends a bit on your schedule. If you are coming in January then you won’t be going to the Water Parks which is the main draw from this add-on. If you are going in swimming season and you like Water Parks then get it, both of them are fantastic! Tip: The Water Parks add-on does not count against your main park days. I mean if you have a 3-Day ticket with Water Parks, then you don’t have to go to the water parks the same days you go to the Theme Parks. You can go three days to the theme parks and three more days to the water parks. This can save you significant money if you thought you needed instead a 6 day ticket for this itinerary! The thing to remember is you can always add the Park Hopper or Water Parks option after you purchase your Magic Your Way Base Ticket. 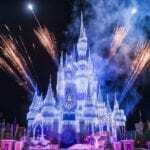 You can even do it when you arrive at Disney World, so it’s better to spend less now and add them when you are really sure you’ll use the extra options. There are two types of Passes, Platinum and Platinum Plus. They offer mostly the same things: Full access to the 4 Theme Parks and some perks like: Free Parking, special offers on room rates and packages and the option to buy a Tables in Wonderland card. The difference in the Platinum Plus card is you have the Water Parks option added. “I go to Disney World all the time, so maybe it’s time to consider an Annual Pass (Platinum Pass).” How much do you need to visit Disney World to make it worth it for you? For most people it’s not worth the cost. The Platinum is $797.69 and the Plus is $882.89. That’s a big chunk of change right there! The pass lasts 365 days from when you first use it. If you are going to Disney 15+ days in a 365 year period then it would be worth it for you, but most people don’t go that often. One thing you can do is plan 2+ vacations within a 365 day window. That’s what we did to take advantage of the discount. We would buy the Platinum Pass then go for example at the end of March one year, then book another trip for the middle of March the following year, but within the 365 day window. If you are a Florida resident though then that’s probably the #1 scenario in which a Platinum Pass makes sense for you. You live close enough to go often and spending 15+ days is possible. Florida residents get a price discount as well of about $100, and if you use the Auto Club South they give you a discount of about another $20 per ticket too. That’s much more affordable and gives you some incentive. One more tip I wanted to tell you: Whatever kind of pass you buy, make sure to make a photocopy of it right away. I say that because if you lose your ticket or it gets stolen, the only hope you have to getting it replaced by Disney is having that number on the back of your pass. Disney isn’t obligated to replaced your lost ticket but a lot of the times it will if you can show them proof of your pass. So photocopy it, take a picture on your phone, or whatever you need to do, because you will be super happy later if you lose it! Unless you are a Florida resident or you are planning to be in Disney World 15+ days per year the Platinum Pass (Annual Pass) is not for you. Thanks for reading my post on the Tips for buying Disney Tickets. Check out some of my other posts that can help you plan your trip, such as: choosing When to visit Walt Disney World and Deciding Where to Stay. I’ll also have a lot more Planning your trip posts up soon so stay tuned. Let me know what you thought of my Buying Disney Tickets Tips and Tricks in the comment section below and any suggestions you may have!